Walkin N Circles rescue ranch, where we got our registered Paso Fino mare and stallion. http://www.fosh.info Friends of Sound Horses fights abusive practices in the gaited horse industry, with emphasis on Tennessee Walking Horses. They will provide free video gait analyses of your horses. Spanish-Barb Breeders Association International, 12284 Springridge Road, Terry, MS 39170. Horse of the Americas An association attempting to bring the other Spanish Mustang registries under one umbrella. Choctaw Indian Horse Conservation Program. 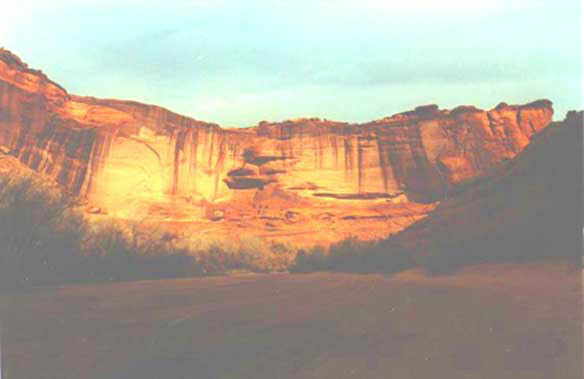 Canyon de Chelly. Photo courtesy Michael S. Bertin.